If you thought this year, which saw even the mighty Samsung bend under the pressure, was competitive in terms of flagship phones, wait until you see what will be coming in 2015. The phone-making abilities of the big manufacturers are almost on par now, nobody has a significant competitive advantage, and things could go in many directions. That is why we wanted to ask you to take an educated guess as to which phone manufacturer will manage to go above and beyond the extra mile, and wow our specs-hardened hearts with design, performance, extra features, or value-for-money proposition with their 2015 flagship. Will Samsung make a comeback with the Galaxy S6, or will it be Sony with the Xperia Z4? Maybe HTC will ditch its camera shenanigans and finally shine with the One M9, or LG has something up its sleeve for the G4? Let's not forget the myriad of Chinese manufacturers that are just waiting for one of the big boys to slip, and immediately take their place - juggernauts like Huawei or Xiaomi should not be underestimated at all, too. Finally, Apple will be making an iPhone 6s or a 7 or another Plus, and that's the company everyone will be eyeing next fall, so take your pick in the poll below, and sound off in the comments. We are including a slide with a few of these babies expected to be announced in H1 to help with your musings. First things first, as the Xperia Z4 announcement seems to be just around the corner, with the CES expo in Las Vegas commencing in a month or so. There are conflicting rumors on this one - from "Sony will pull out all stops" and intro a monster with 5.4" QHD panel, to an info one insider sent us that says Sony will keep using 1080p display resolution, but up the chipset to Snapdragon 810. As for the camera, all agree that it will be Sony's newest stacked 21 MP model that allows for real-time HDR stills, and has 192-point AF tech for shooting blur-free fast moving objects. Say what you will about the hiccup in Samsung's glorious Android crusade this year, but the manufacturer still remains the largest phone maker in the world, and the most profitable one after Apple. 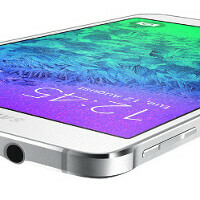 You can bet that all Samsung execs have taken notice from the S5 underpeformance, and will be coming out in full swing with the S6. Expected to be announced around the MWC expo in the beginning of March, the S6 might feature two versions - one with a dual-edged flexible display, and a standard piece with a 5.2" Quad HD panel, Snapdragon 805/810 processor, high-res camera with OIS, and a brand new design featuring more premium materials for the chassis. This might not be the official title, as the speculation is HTC will stray away from the One titling scheme, and yet the phone is expected to be announced in March, at the MWC expo, and be stuffed to the gills with specs. Reports claim it will have a 5.5-inch 2560 x 1440 display, 3GB of RAM, a Snapdragon 805 SoC, and a 3500 mAh battery, which are the expected upgrades. But, the HTC One M9 is also supposed to feature a 16-megapixel camera with optical image stabilization, meaning HTC could well be leaving behind the UltraPixel hardware. Also, given that Apple purchased Beats, HTC had to find a different audio partner, and that new partner could well be Bose. And, HTC may use an aluminum silicon-carbide composite for the body this time. We can't wait. Ascend Mate8, or the Mate7 successor, won't be the only 2K horse in Huawei's stable next year, judging from the leaked roadmap, as an Ascend D8, purportedly with a 5.5" screen diagonal, is listed with the high-res panel, too. This one should be the company's absolute 2015 flagship, as it also features a yet-unannounced 64-bit Kirin 950 processor, 4 GB of RAM, and 64 GB of internal storage. It is apparently scheduled to appear in May, and cost the equivalent of $800 when it lands. Not to be outdone by the competition, LG will probably try to usher in its G4 flagship no later than a year after the G3, which pegs it for a May announcement, and a June release. Nothing has been heard about it so far, but an LG exec said breaking the 700ppi barrier is on the menu, plus LG display introduced the display panel with the thinnest bezel recently, so we can expect more innovation from the G4 in the screen department, besides an eventual pixel density increase. We are also looking forward to an even better screen-to-phone-size ratio, and a higher-resolution camera with OIS. Given the release timeframe, a Snapdragon 810 chipset has the biggest chance to go into the G4, too. It's do or die time for Microsoft's Lumia phone department, as the maker hasn't released a flagship phone for a while, and potential customers were flying away in droves nor knowing what will happen after Microsoft acquires Nokia anyway. The Lumia 930 was released in April, so the rumored first Microsoft Lumia flagship, the 1030, might appear in the spring next year, too. It is expected to sport a 5.5" Quad HD panel, Snapdragon 810 chipset, 3 GB of RAM, and a sweet new PureView camera with the jaw-dropping 50 MP of resolution, not to mention four HAAC mics for excellent surround sound capture. We are throwing in Xiaomi as a bonus, but you should really keep an eye on that company. After an incredibly strong year, the hot-shot company is mad with power, which it has to sustain without giving the competition any break. According to analyst Sun Chang Xu, Xiaomi's 2015 flagship, the Mi5, will pack Qualcomm's most powerful processor to date, the Snapdragon 810 octa-core 64-bit beast, along with a 5.7-inch QHD screen. Most mind-blowingly, the handset will be retaining its usual $325 Chinese price-tag. Well, that's Xiaomi for you! I think Motorola is the best so far. If they can come out with project Ara in 2015 (its suppose to). Then that will beat all others in my books. If they have a 64bit with 2-4gb of ram in a module. Then it will definitely be a hit with me, and I will get that above all others. It will be nexus like for the hardware. I don't think Ara is or will be ready for prime time in 2015. Most likely we will see it in 2016 and so I will be betting on Samsung for this next one. The fact that they are starting from the ground up (zero) for the next one gives me hope after seeing the Note 4. It is an amazing device and if they have seen it fit to take it a step beyond then that means they might just come out with something amazing. I'm planning on getting a new phone in 2015. I'm hoping Ara will be ready. It's already been stated it will be released in 2015. It may not be up to it's full potential with modules and such, but I don't see Google releasing the phone if it's not ready for prime time. And Project Ara is Google's modular phone concent, not Motorola. All OEMs need to have: Good battery. My heart says Motorola, but my head says Sony. Moto has the best ergonomics and lightest UI, but they lack the vertical integration that gives Sony, Samsung, and LG the edge in screen quality. APPLE ! for the next 100 years ! You, sir, get the Hyperbole Award! Just remember, 100 years ago, IBM was the one to beat. Note 4 will be the best phone ever!!! I've to admit - Samsung / Sony Both are very innovative in bringing better technology in terms of hardware. Also, Samsung is well known for bringing new user experience to the UI (except that 'lag' thing .. it is still not gone .. it still is same as is) ..
That is the only downside to Samsung, but I think their corporate strategy might have changed for the better for the next one. They've decided to go back to 0 and work from there, and hopefully software is included in that revision. Given the write ups, it's looking like we can expect nothing but oversized devices. I'd probably give the nod to the one that comes in as close as possible to being legitimately useable with a single hand. Vivo trumps all others with their xplay 5s. That phone, like the xplay 3s when released in 2013 will probably raise the benchmark for all others to follow. Without factoring in the price, Sharp. If you factor in the price then some smaller brand in China. All that matters is that the Snapdragon 810 reaches phones as soon as possible! SD805 phones should be affordable as well.